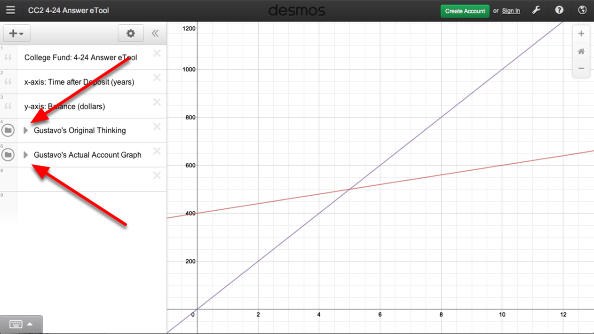 Click the "4-24 Answer eTool (Desmos)" link below. 1. Click the arrows to show the equations! Open circle hides the graph. Click to show. Arrows hide/show the contents of the folder.